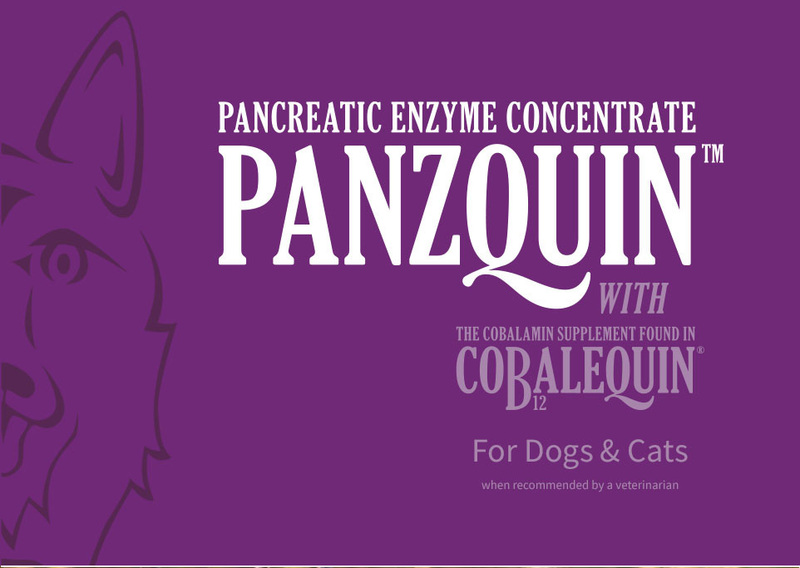 Panzquin - Pancreatic Enzyme Concentrate from Nutramax Laboratories Veterinary Sciences, Inc. 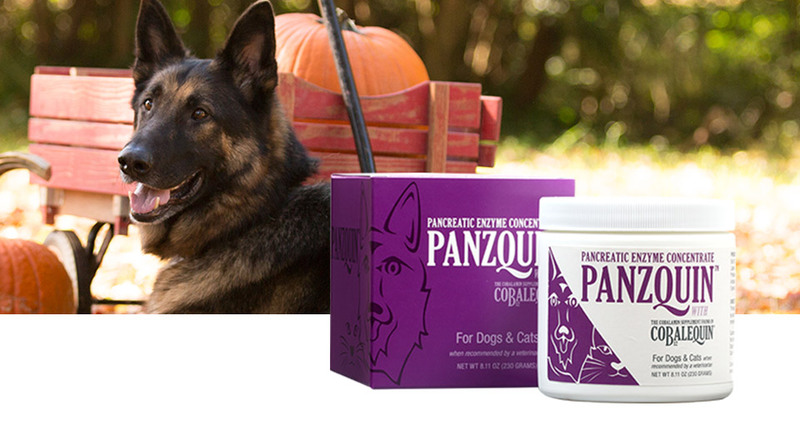 Thoroughly mix the amount of powder recommended by your veterinarian with moistened, room-temperature pet food. 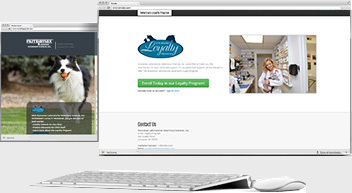 Consult with your veterinarian about the right amount for your pet. 1.Toresson L, Steiner JM, Suchodolski JS, Spillman T. Oral cobalamin supplementation in dogs with chronic enteropathies and hypocobalaminemia. J Vet Intern Med 2016;30(1):101-107. doi: 10.1111/jvim.13797. 2. Toresson L, Steiner JM, Suchodolski JS, et al. Oral cobalamin supplementation in cats with hypocobalaminemia. J Vet Intern Med 2016;30(1):417-418;abstract ESCG-P-10.